There are few harder things than being a caregiver for a family member with dementia. These caregivers are the unsung heroes of the US health system. Because of family caregivers, 2/3 of persons with dementia are able to continue living at home, often avoiding nursing home care until dementia is very advanced. Nursing home care is hugely expensive, and much of the cost in the US is paid by Medicaid. Next time you hear about how Medicaid nursing home costs are big contributors to federal and state budget crises, remember that without caregivers these costs would at least double. But while caregivers of dementia patients are unsung heroes, they are also forgotten heroes. The US medical system does little to help them. And they need help. Dementia caregiving is very stressful and numerous studies have shown negative health consequences in caregivers. Most prominent is depression. Caregivers of dementia patients often meet clinical criteria for a diagnosis of major depression. This is what makes a recent study in the British Medical Journal (BMJ) so important. It shows that a pragmatic intervention grounded in counseling and psychological support helps reduce rates of depression in dementia caregivers. The study was led by Dr. Gill Livingston of University College in London, and based on an intervention protocol developed by Dr. Delores Gallagher-Thompson of Stanford University. 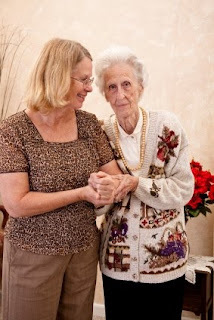 The study randomized 260 dementia caregivers in London England to the intervention or usual care. Most of the caregivers were women (70%), either the spouse or an adult child. The intervention consisted of 8 therapy sessions, usually delivered in the home. A really neat feature of this intervention: Psychology graduate students who had no prior clinical experience delivered it. This nicely supports the feasibility of the intervention as a wide range of persons can be trained to deliver it. If this intervention were a drug, it would be on the fast track to approval and a pharmaceutical company would be on track to earn billions of dollars. But alas, it is not a drug. Therefore, this beneficial program will not be available to the vast majority of dementia caregivers in the US. Lobbying CMS to pay for this and other proven caregiver support interventions would be a most worthy use of the Association’s advocacy efforts. Wouldn’t it be best to focus the Association’s advocacy efforts on worthy initiatives that will really benefit Alzheimer patients and caregivers? This sure seems like a much more worthy advocacy effort than lobbying CMS to pay thousands of dollars a pop for Amyloid PET Scans. I agree with this as with the help of caregivers only it is possible to take proper care of the elders and needy people.